The swift embrace of recreational marijuana use in Canada comes with a dark reality; according to Huffington Post, there have been over 56,000 “police reported incidents” of cannabis possession in Canada since Justin Trudeau became Prime Minister. Canada became the second nation in the world to legalize marijuana when it passed the Cannabis Act on Oct. 17. The Cannabis Act is a strict legal framework for regulating the production, distribution, sale, and possession of marijuana across Canada. The act’s purpose is to keep marijuana out of the hands of adolescents, keep profits out of the pockets of criminals, and protect public health and safety. In 2015, Prime Minister Justin Trudeau made an important point during his campaign that prohibition was clogging the court system with non-violent offenders. The Cannabis Act stems to curb marijuana-related crime and protect the youth from the drug. This shift in the cannabis policy is fulfilling a campaign promise by Trudeau, settling a close to century-old debate over the ban on marijuana. “We’ve just witnessed a very historic vote that ends 90 years of prohibition,” Canadian Senator Tony Dean told The Guardian. 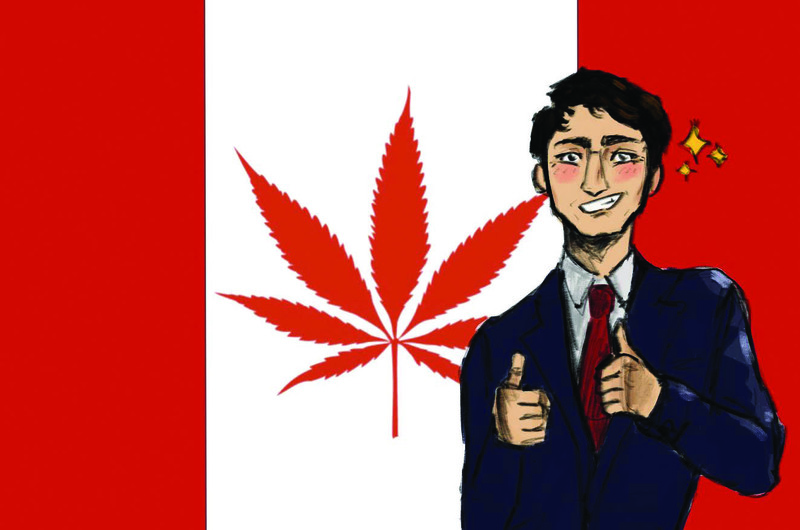 But each sub-national government of Canada, known as Canadian provinces, will have their own plan on how to deal with legalization of the drug. In Quebec and Alberta, 18 year olds will be able to purchase adult-use marijuana. In every other province the legal age will be 19. In Ontario, only privately owned marijuana stores will be allowed to operate. Other regulations regarding cannabis for drivers will also differ from province to province. Quebec has installed a zero tolerance policy for all drivers, while Ontario is setting a zero-tolerance policy for drivers younger than 21. Canada is planning to apply a marijuana excise tax of 10 percent on the product price. This duty will apply to all legal marijuana products and is an exchange for marijuana companies to access the immense new market. According to The New York Times , Canada is looking at an increase in tax revenue for their economy of 6 billion Canadian dollars. This is caused by the dominant black market for marijuana. The legalization of marijuana is expected to be an annual $4 billion industry which will soon be the world’s second largest legal marijuana market behind California, according to CNN. “America is missing out on eliminating the costs, financial and personal, of jailing people for selling and possessing pot,” Sam Kamin, a marijuana law expert at the University of Denver, told Time magazine. Recreational marijuana is legal in nine states and medical marijuana is legal in thirty states, but it is still illegal at the federal level. Canada now joins Uruguay as the only countries to legalize marijuana for recreational use. 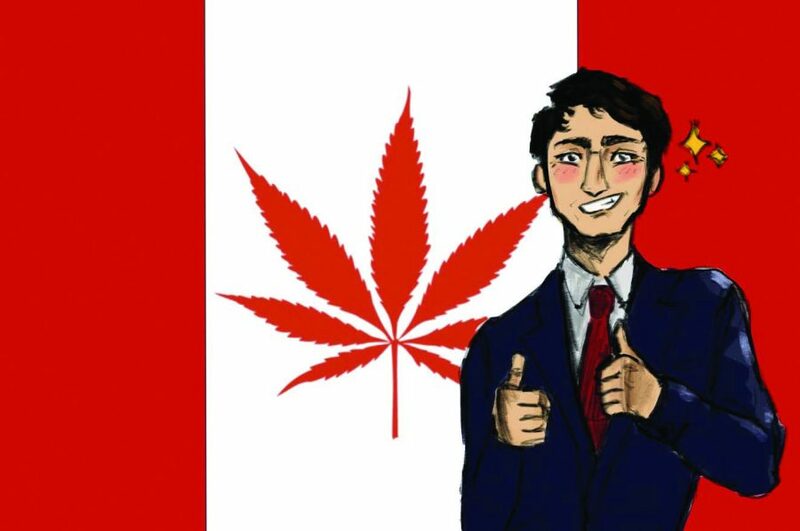 By passing the Cannabis Act, Canada seems to be influencing some of its neighbors to the south. Earlier this month, North Dakota rejected a push to legalize recreational marijuana use. Michigan approved the legalization of marijuana for recreational use, while Utah and Missouri approved it for medical use. By becoming the second nation in the world to legalize marijuana for recreational use, Canada has put substantial pressure on itself to promptly clear criminal records of those who have been arrested for the offence. In Canada, the black community is incarcerated at a rate three times higher than the general population. “White and black communities use cannabis and other drugs at similar rates, but black communities have been disproportionately targeted for police stops, cannabis arrests, and incarceration,” Robyn Maynard, author of “Policing Black Lives”, told University of Toronto News. Canadian activists are launching a Campaign for Cannabis Amnesty proposing to the government to examine pardons for possession charges. Although Ottawa, the capital city of Canada, voices to grant amnesty for cannabis possession crimes, it is unclear when this will happen. U.S cities such as Seattle, San Fransisco and San Diego are moving to erase all records of felony convictions for marijuana posession, according to The Guardian. The United States is currently the leading producer of marijuana in the world. But America is still well behind several countries worldwide when it comes to the legalization of marijuana, despite the tremendous growth of the industry.